All your key AdWords KPIs in one easy to create report. From clicks to conversions, we've got you covered. Track your AdWords campaigns using our slick AdWords report template. You can include the most important KPIs so you'll know exactly how your campaigns are performing. You can even integrate your other marketing platforms to compare different campaigns. You know what KPIs you want to track. Our AdWords report template includes all the KPIs you'll need: cost, clicks, conversion and more! 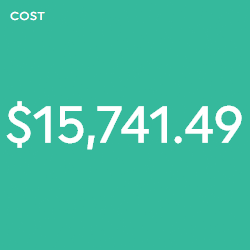 Easily stay on top of your AdWords campaign costs. Our AdWords report template lets you track key KPIs such as ad spend, costs per click (CPC), return on ad spent (ROAS) and more! Track your ad spend and see how much traffic your ad is generating. 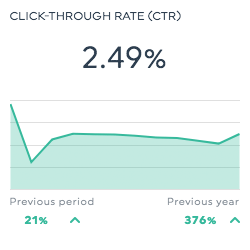 You can track key KPIs like clicks, click-through rate (CTR), impressions, average position and many more. Show your AdWords data exactly how you want. You can break down your important metrics by campaign performance, adgroup, ad or keyword performance. Conversions are a key AdWords metric you'll want to keep an eye on. We'll let you track conversions, conversion rate and total conversion value. Sounds pretty good, right? Check out how your own data looks in our Google AdWords report. Getting started with DashThis is simple and you can start using the tool for free! All you have to do is enter your email address and a password. Connect your AdWords account and choose the other data sources you want to include in your report. Choose Google Ads Report Template from the drop-down menu and you're all set! Want to compare your AdWords campaigns with your other online marketing efforts? No problem! In addition to your AdWords account you can choose from over 34 other marketing tools. Data sources include Google Analytics, Facebook Ads, Google Search Console and more! 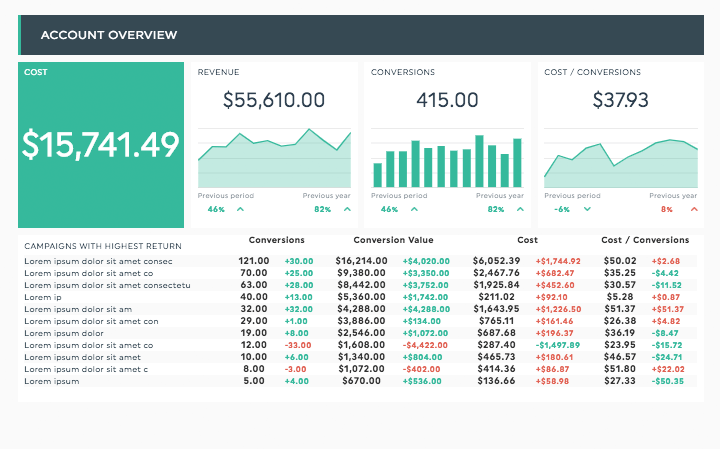 Automate your marketing reporting process with DashThis! Who wants to spend time crunching numbers and making spreadsheets? With DashThis, you can easily create custom reports without manually entering a single metric. Our reports are fully customizable. You can add your own data using CSV files and you can personalize your report with your own logo, font and comments. There's no limit in the number of users you can invite. Your entire digital marketing agency can have access to DashThis if you want. Customize reports for clients using their own branding - you can add a custom URL, a custom design, or both. We make it easy to report on your AdWords campaigns. We've got a bunch of different report templates you can use. 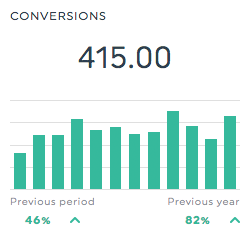 Track your ad performance in a beautiful custom report. It's no good running an AdWords campaign if you can't see what's working and what isn't. Optimize your AdWords campaigns using our AdWords campaign report. See what keywords you're ranking for with our keyword reports so you can gain insights into the keywords you're targeting. Want to know how your ad groups are going? Use our ad group report template to track campaigns with multiple ads. We do way more than just AdWords reports. Here are just a few of the other reports you can create with DashThis. Display your PPC data just the way you want. Our customizable PPC reports can show you all your KPIs and pull data from your reporting tools. Our digital marketing report template lets you keep a handle on all your digital marketing efforts in one convenient report. Track your SEO efforts with our easy to use SEO report template. Organic sessions by source, revenue from organic, bounce rate... all your KPIs are here! Show your clients how successful your digital marketing campaigns are with our advertising report template. Display your Google Analytics data exactly the way you want. Our Google Analytics report template lets you decide the key metrics you want to include in the report. Content is king and you've got to track how its performing. From clicks to views and everything in between, our social media report template can give you the full KPI rundown.